hd00:16ROME, LAZIO/ITALY - APRIL 09, 2017: Pan across unidentified crowd of people at the Trevi Fountain. Rome is one of the world's most popular tourist destinations and suffers from mass tourism. 4k00:06The Trevi Fountain is a fountain in the Trevi district in Rome, Italy. 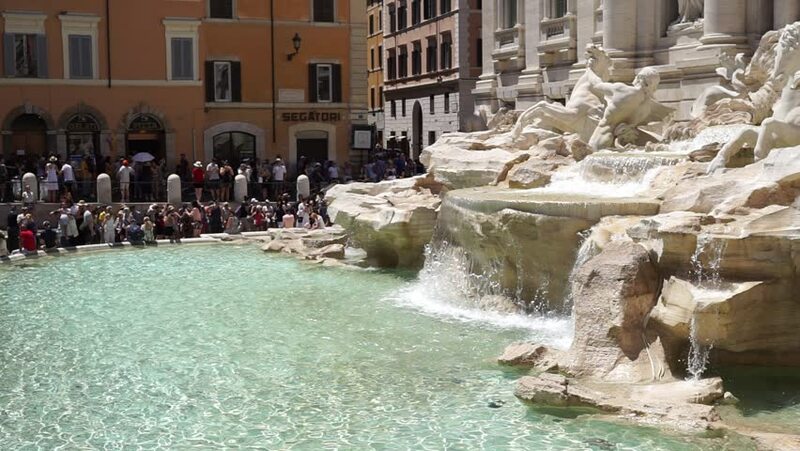 It is the largest Baroque fountain in Rome and one of the most famous fountains attracting tourist visiting Rome.